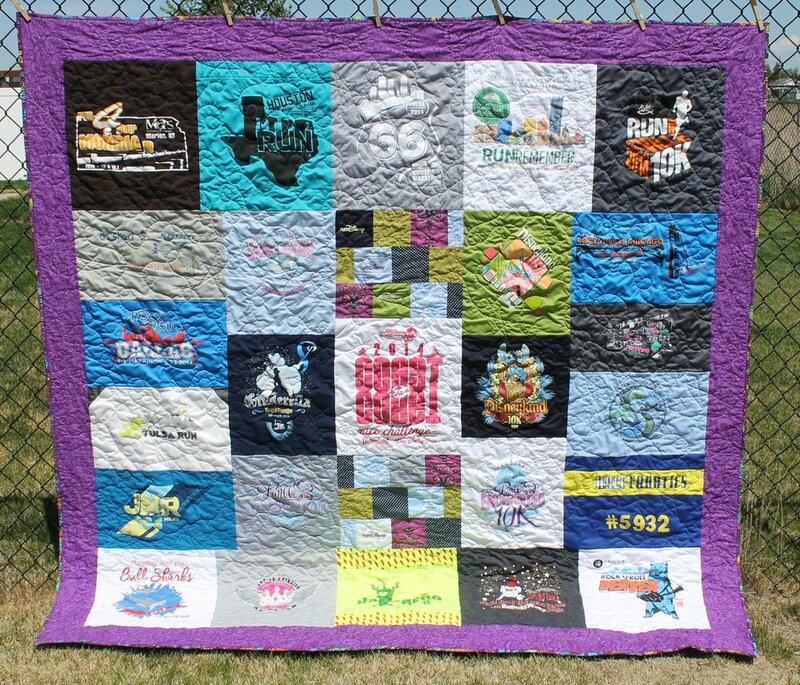 This month's t-shirt quilt was a delight to see - the owner is from Tulsa, so there were a lot of races I recognize (and miss!) And as an added bonus, she's a RunDisney girl! I'm jealous of the Coast2Coast shirt - at the Star Wars expo, they only had the same blue castle one I got in 2012. Not that I'm going for C2C this year, since Wine & Dine sold out before I even thought about making a decision. Sigh, RunDisney. 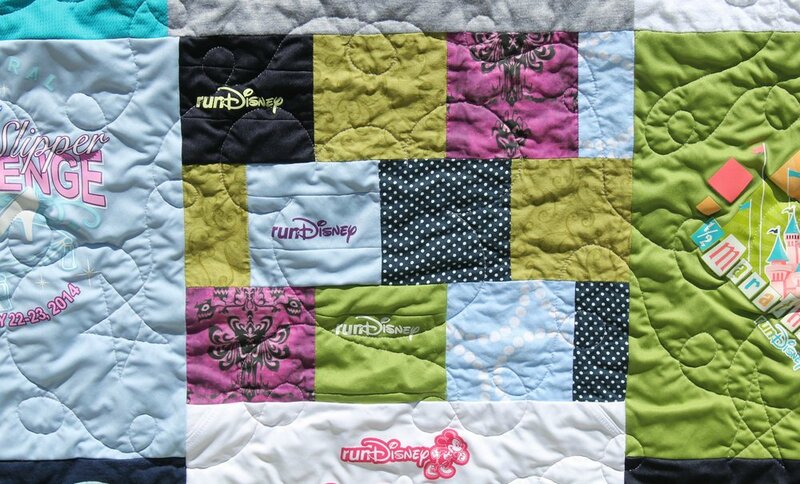 Obviously I wanted to center the RunDisney stuff and use up every little bit of those shirts, because I know how much they cost they're always such great designs. 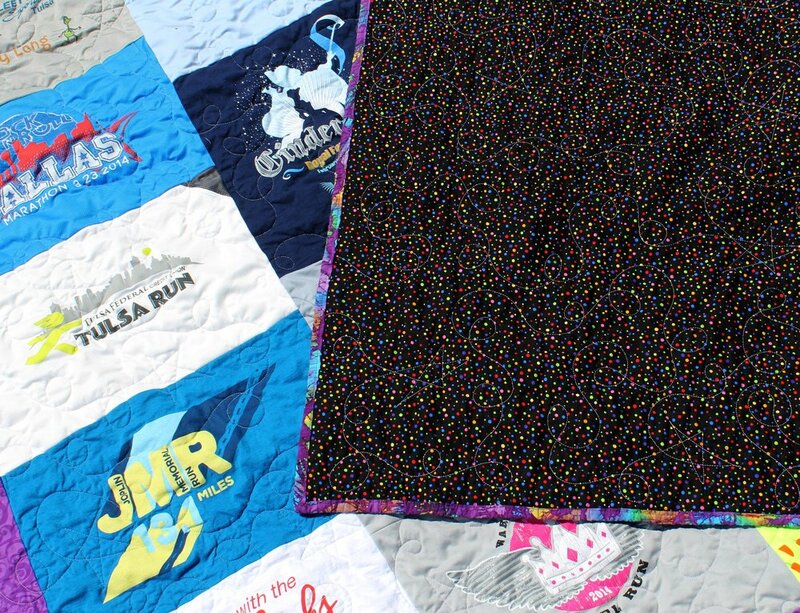 And I do mean every last bit - those RunDisney logos came off the shoulders. And the purple? Be still my heart - it's the Haunted Mansion wallpaper from Spoonflower. I'm not even going to admit how much I ordered for my own personal use. 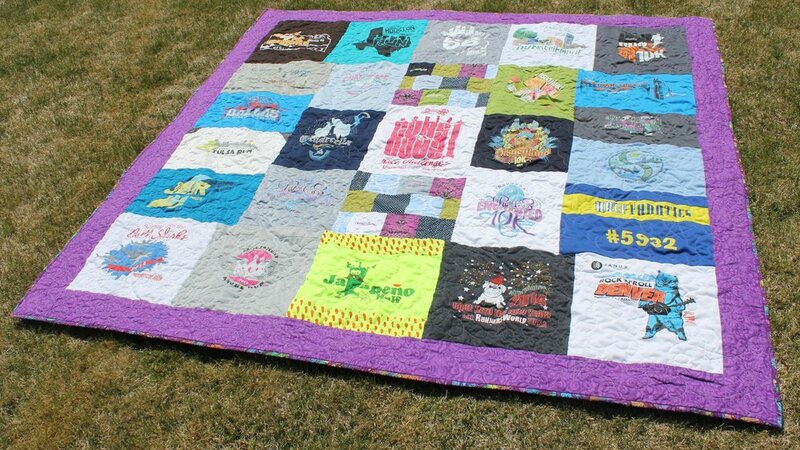 And of course, I had to quilt in a few hidden Mickeys amid the loops and stars. I added her Half Fanatics number as a full block. The borders are Star Bright by Timeless Treasures. And this is one of my favorite bits - Lisa debated back and forth between two fabrics for the back. 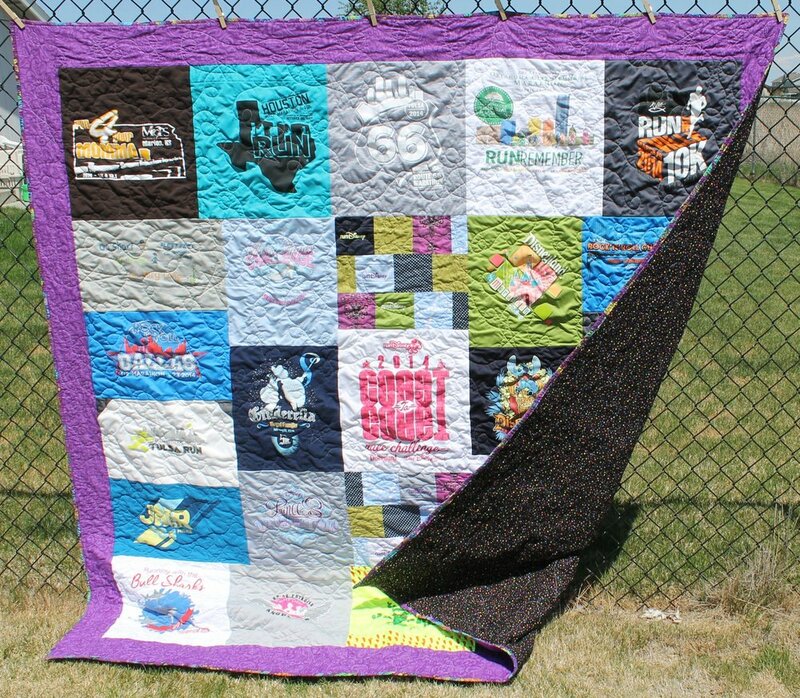 She ultimately chose the black, which shows the quilting off fantastically! But I just happened to have a leftover chunk of the other fabric she was thinking about, so I offered it up as binding. And it was so the right choice here.